In just 11 minutes The Light Salon can turn the clock back on skin by delivering a results-driven ExpressLED beauty treatment. 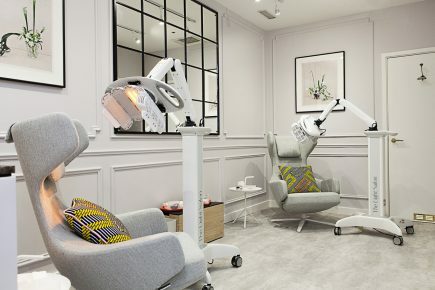 The Light Salon Is the only skin rejuvenation or light bar in the country to use industry-leading Healite II technology, which boosts the skin’s collagen production, correcting and healing as it goes with stress-reducing and mood lifting effects. The Light Salon’s mission is to make radiant skin available to everyone at an accessible price.